Exploring and explaining more than 80 of the world's most important theories and big ideas about trade, commerce, and management, this book offers a fascinating look at the world of business past and present. A perfect primer on the fundamental tenets of the subject, The Business Book sheds light on some of history's most important milestone developments and the key business strategies used by leading thinkers and gurus from Henry Ford to Steve Jobs. Each influential business idea is explained clearly and simply using stylish infographics, easy-to-understand explanations, and step-by-step mind maps, making the world of trade and commerce accessible to everyone from students and those working in business to would-be entrepreneurs. 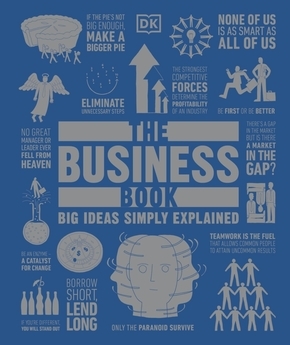 It also features inspirational business ideas and over 100 memorable quotations.